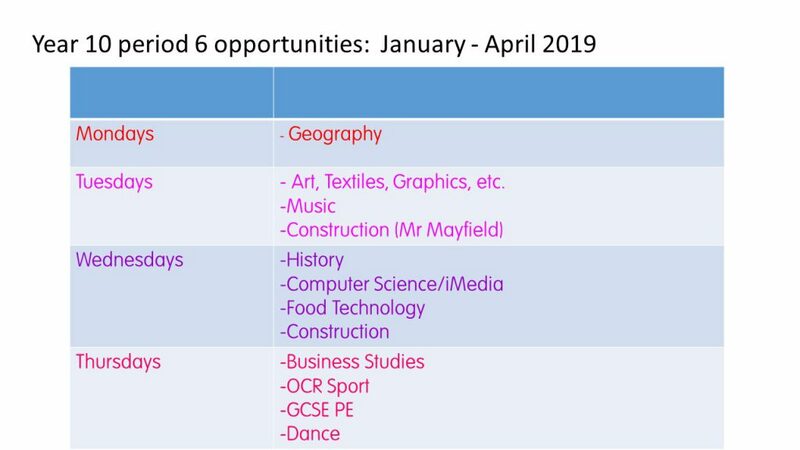 During Y11 and Y10, subjects support students in preparing for final examinations by putting on additional support classes at the end of the normal school day. These run between 3:00 pm and 4:00 pm typically. Analysis of the impact of Period 6 from previous cohorts shows that it has significant and demonstrable impact on students’ final outcomes if it is regularly attended. 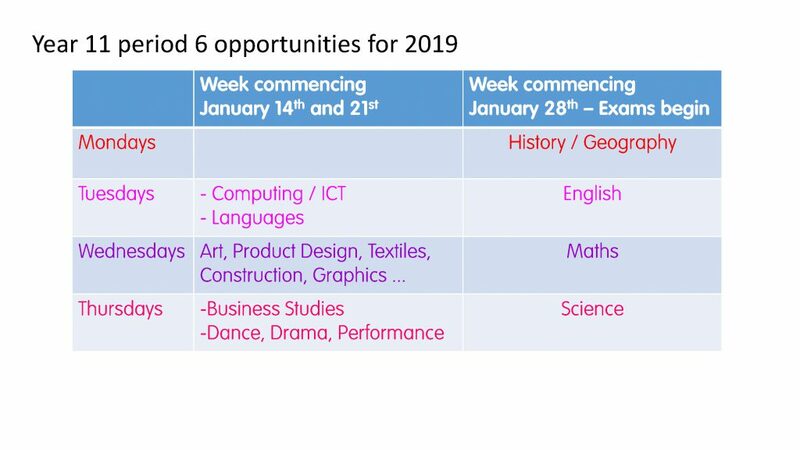 Students identified as having particular support needs are requested for these sessions by subject teachers, but the sessions are open to all students who can attend and are encouraged to do so. 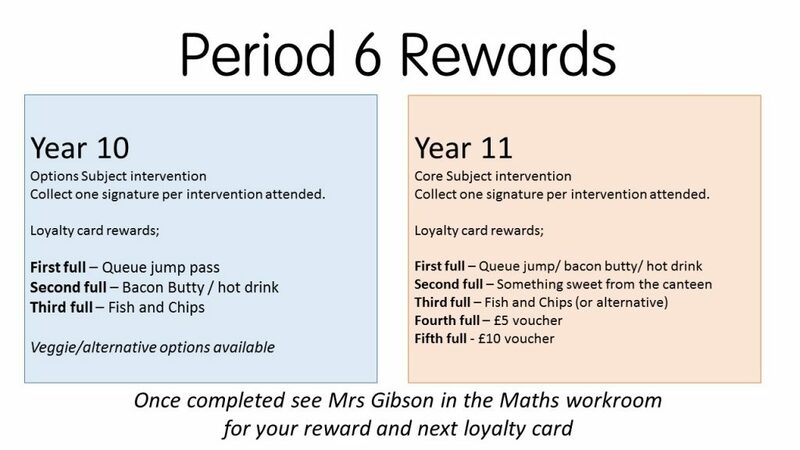 However, there is an expectation of attendance to these if a student is specifically requested. This request will be communicated via the school’s MyEd App, via text and via student lists which are displayed on the atrium and common room notice board. These sessions are planned and delivered by the subject teachers, using the information and insight they have gained from classwork, homework, dialogue and PPE’s. This allows teachers to target additional sessions on areas of knowledge or skills which have been demonstrated as needing further development. Therefore, they are tailored to the emerging needs of groups of students. Student attendance at these sessions is one of the condition of attendance at the Y11 Prom. As such, it is important that students do attend when they are requested or when need to access additional support. Parental support with encouraging attendance is also vital if the school is to ensure that all students benefit from this additional support.